Understanding the difference between demand and quantity demanded. - FreeEconHelp.com, Learning Economics... Solved! 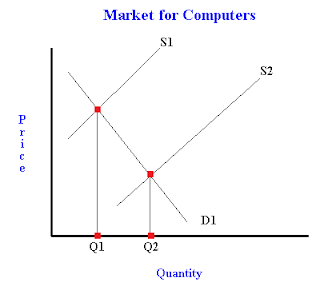 Home law of demand microeconomics supply and demand Understanding the difference between demand and quantity demanded. Take note of the fact that the demand curve has not changed when we look at a change in quantity demanded. The only thing that has changed is what quantity of the good is now being demanded by the individual. Remember: A change in demand and a change in quantity demanded are not the same thing! 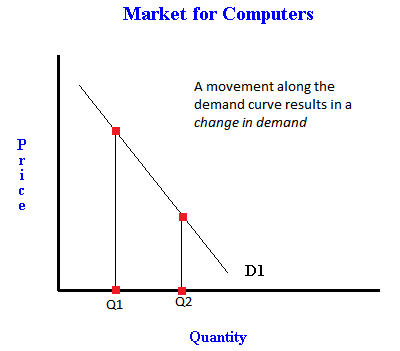 Generally, a change in demand will result in a shift of the demand curve (demand itself is changing because of one of the determinants of demand). 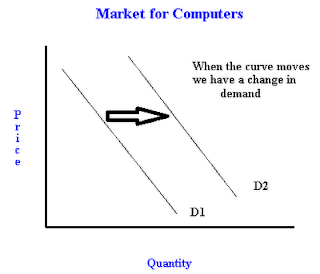 While a change in quantity demanded will generally be the result of a change in supply, which causes us to move along the demand curve (not change it). 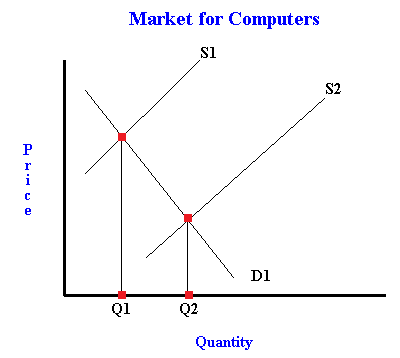 This change in quantity demanded will result in a change in quantity as shown on the X axis. It is also possible that both a change in demand and a change in quantity demanded occur at the same time, but make sure you are able to separate the two. An example of this case is shown to the right.